Before you build in the mountains of Western North Carolina, make sure you understand the issues you will be dealing with. 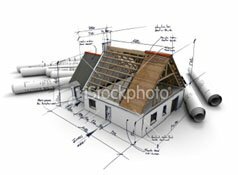 BuildingInWNC.com is a resource for developers like you wishing to operate in the mountainous areas of Western North Carolina (WNC). These mountainous areas require their own special considerations, so we have created this site to help you navigate the issues before and during your building project. Here you will find educational resources, useful maps and contact information for local experts and governmental offices. Please let us know if you have trouble finding something and if you think of something that should be on this site. Leave us feedback! Thanks for visiting!!! Take a Developer Certification or Clear Water Contractors course to better understand the building issues and best practices specific to the WNC mountain environment.